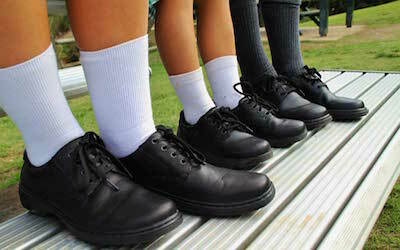 Children spend at least 30 hours a week stomping around in their school shoes. This means that choosing the right shoe is really important for the health and comfort of your child’s feet. 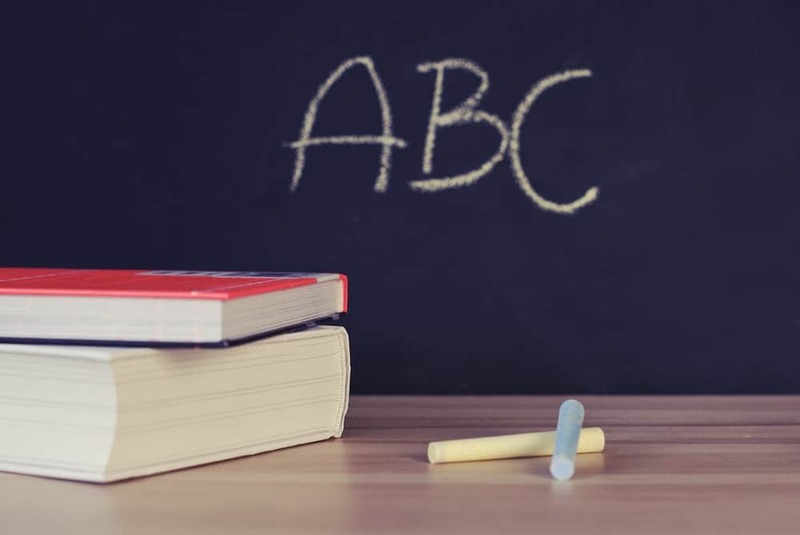 “Ill-fitting school shoes can lead to a multitude of foot problems in adulthood, such as ingrown toenails, corns, callus, bunions and hammer toes. There’s also evidence to suggest that poorly fitting shoes can cause back pain,” says podiatrist and founder of A Step Ahead Foot + Ankle Care, Dr Brenden. No parent wants to put their child through undue foot pain or cause feet issues in later life. By understanding how to select the right shoes for children and following the guidance of a podiatrist, parents can help ensure they’re a step ahead when it comes to picking out the best back-to-school shoes. With Dr Brenden’s top tips, choosing the right back-to-school shoes for your child should be as easy as…well…A,B,C! Get the best fit. It can be tempting to buy a size bigger, given how fast children’s feet grow, but the key is to allow a maximum of one thumb width between the top of the longest toe and the end of the shoe. Heel support. Squeeze the back of the shoe to make sure the heel counter is strong and stable. This way you know you’re getting good heel support. The heel of the shoe should also be no higher than 1.5 cms. Fasten up. Check that the fastening mechanism (laces, Velcro or buckle) holds the heel firmly in the back of the shoe. Slip-on shoes are not recommended for school wear. Sole survivor. The soles of shoes should be fairly straight, rather than curved, as this accommodates the straightness of the foot. Also, if you attempt to ‘wring out’ the shoe by holding one hand at the heel and the other in the middle, it should not twist. Flexibility. A flexible shoe allows for the natural movement of the foot but make sure that the shoe flexes at the ball of the foot; the shoe should NEVER bend in the middle. A higher price tag doesn’t always mean a better shoe. Well-known brands, such as Clarks, do tend to outlast some of the cheaper brands but this is because they are well made using quality materials. Check to see that the shoe you’re considering buying is made from a high-quality, durable material. Forget foot weights. You might be fooled into thinking that a heavy shoe is a sign of good quality. Yet a shoe that is particularly heavy is probably not going to be the most comfortable choice. A shoe should weigh no more than approximately 250 grams. That’s less than a can of soup! Hand-me-down shoes are a no-no. Aside from the risk of fungal or bacterial infection, pre-worn shoes are likely to have molded to the shape of the previous owner’s feet. It’s also probable that the tread and heel counter have worn down, offering less support and poorer stability for your child’s feet. Listen to your child. If your child complains of foot pain or discomfort or you notice they are walking differently, take a trip to your local podiatrist to have their feet checked. “Parents commonly ask how long school shoes should last. Of course, this will depend on the quality of the shoe but on average they should last nine months to a year. “However, if you notice your child has a growth spurt—check to see if their feet have outgrown their shoes. On average, children’s feet grow about half a shoe size every six months,” says Dr Brenden. Or watch Dr Brenden’s Facebook live video chat on the best school shoes of 2018.